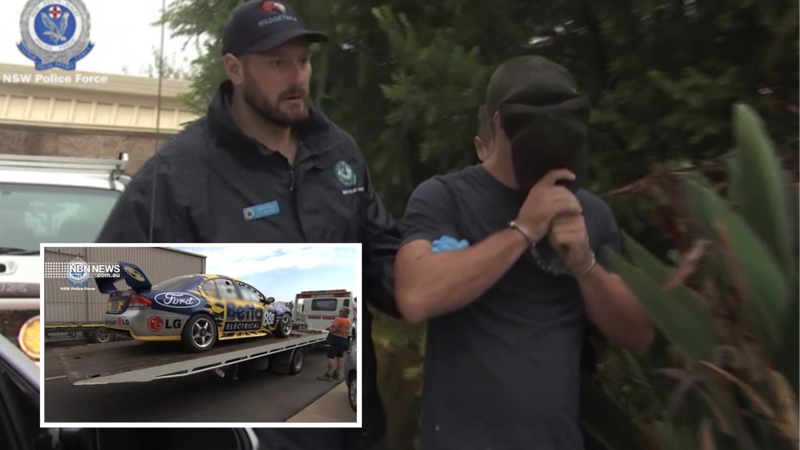 There was a strange sight today as a V8 Supercar, once driven by Craig Lowndes, was seized by police, during coordinated raids on five properties. Eight people were arrested during the operation, targeting drug supply in the Hunter and Orana regions. Detectives allege the Ford Falcon was purchased using the proceeds of crime. Cannabis estimated to be worth almost $900,000 – and more than $140,000 of cash – was also seized. Sam Burbury completed his Bachelor of Journalism at Bond University on the Gold Coast, before joining NBN's Lismore newsroom as a reporter in November 2015. He moved south to Newcastle, where he now works as a reporter & producer, in July 2018.